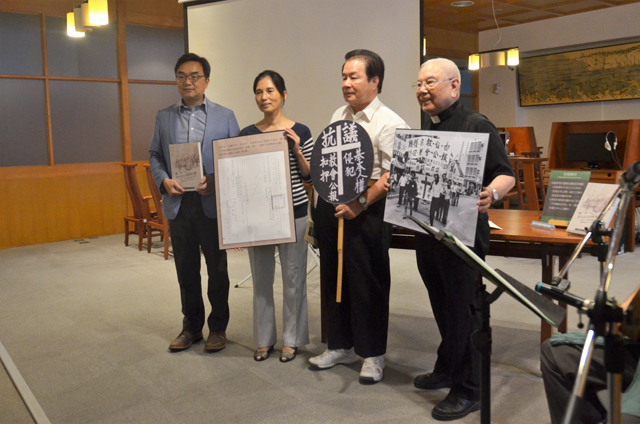 In the morning on July 13, a book launch was held for In that year, when Taiwan Church News Weekly could not be sent at Tainan’s National Taiwan Literature Museum. To introduce the audience back to the context when Oah-Loh(Living Way) Magazine was confiscated in February 1987, Mr Chou Ding-bang was invited at the book launch site to narrate the story of 228 massacre event in a meditative playing of lute. Several key persons, including Rev Lin Pei-song(then general editor of Taiwan Church News), Elder Huang Chao-kai and Ms Huang Su-jen(then publication executive clerk), also showed up to witness that preposterous confiscation plotted by then Taiwan Garrison Command. Under a severe pains of headaches and ear-ringings, due to aftermath effects of Formosa Magazine Event and the heinous massacre of Lin Yi-hsuing’s families in early 1980s, Rev Lin Pei-song recalled how he overcame those physical pressures and psychological sufferings through constant prayers waking up in the midnight. 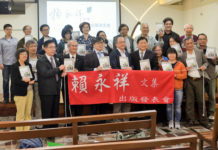 It was due to Rev Kao Chun-ming’s release from jail in 1984 prompted Rev Lin determined to fight against KMT’s military dictatorship through his personal calling in publication. In November 1986, insisting to find a living way and save the beautiful home lands for the Taiwanese, Rev Lin published the first issue of the Oah-Loh monthly magazine. The reason. 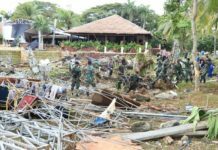 why the fourth issue of Oah-Loh Magazine was confiscated in February 1987, was that several articles mentioned the very sensitive 228 massacre event, Rev Lin recalled. Elder Huang Chao-kai shared some amusing anecdotes and interesting stories during that unprecedented rally and demonstration of Presbyterian Churches in Tainan City. 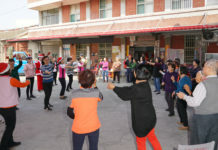 Ms Huang Su-jen, who was forced to sign up and witness the confiscation of Oah-Loh Magazine by then Tainan City Culture Working Unit, said she became nervous and panic each year since then when the end of February is approaching.